So many appetizers have cheese in them. Spinach artichoke dip, crab dip, cheese and crackers, cheese balls, cheese, cheese, cheese. That’s why I made these. I wanted something a little more exciting and filling than the usual raw veggies and olives for all of us dairy-, gluten-free-ers? 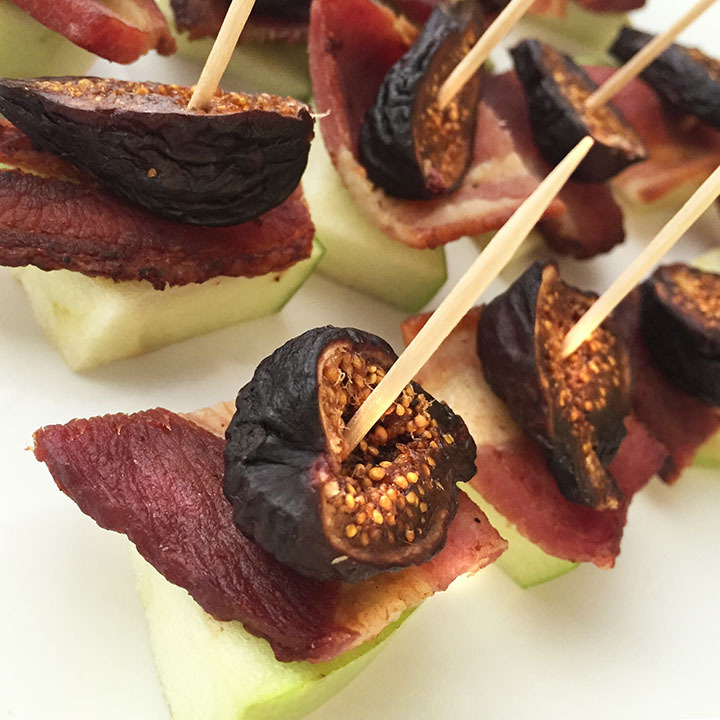 This is a great last minute appetizer and a play on the classic bacon wrapped chestnuts. All you need are these three ingredients and some toothpicks. To make Whole30 compliant, make sure your bacon is sugar-free.